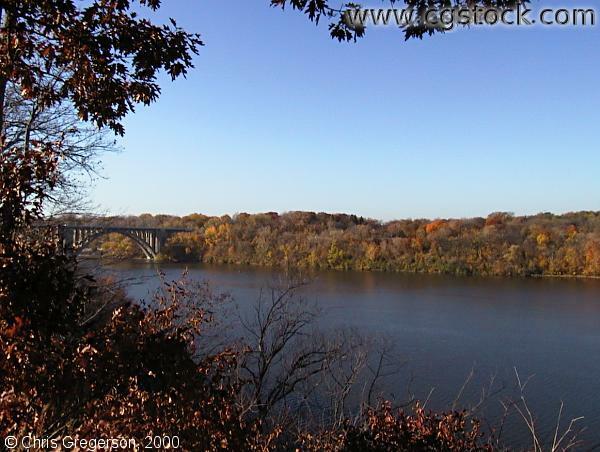 You are looking southwest from the east bank of the Mississippi River. The road that runs along the river on this side is called Mississippi River Boulevard. On the far left is the Ford Parkway Bridge.